$13 for $30 of Naturally Delicious Snacks from kaiafoods.com! Prices Start at $3.00! 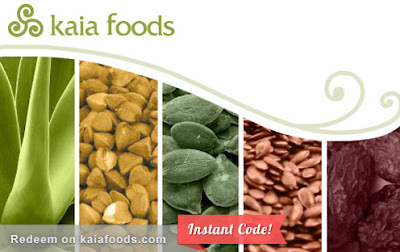 Right now at DealPulp, you can get $30 worth of healthy, all-natural snacks and food from kaiafoods.com for just $13.00! Prices start at just $3 so you could get a bunch of items with your purchase! For example, "contrast" cookies cost $3 and bags of sunflower and pumpkin seeds are just $3.49. There's a lot more products as well like granola, kale chips and more!